Our Synagogue experience is warm, inspired and accessible for all. Every Friday evening the Krivisky family welcomes you to their "Chabad House" in Jericho. Their Jewish home becomes your Jewish home, for an intimate Shabbat experience. Shabbat Candle Lighting. Daven. Kiddush. Dinner. L'Chaim! 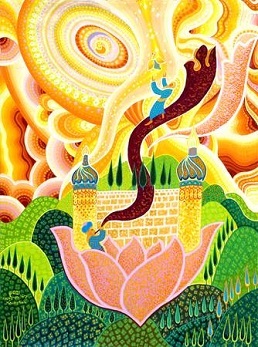 Saturday Morning Torah Portion Discussion: 9:30am. Our Shabbat Morning Services always begin at 10:00am. Interested in a weekday Minyan? Sunday-Friday, MiYaD is starting Minyanim. Contact Rabbi Krivisky for more information. All holiday services start @ 10:00am. Seats are free. No tickets necessary. First-come, first-served.